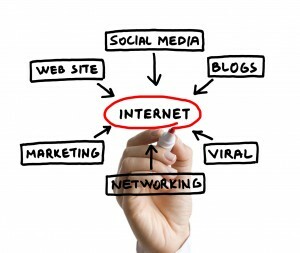 This is a question I’m asked time & time again, “how can I become a better online marketer?“. The answers simple, you just need to strip down what marketing is. As you probably know if you’ve read my about me page I used to a former electrician and I’ve only been marketing a few years but during this time I’ve achieved a lot. Often this upsets marketers especially those who’ve been in the game quite a while. The truth is the reason most marketers fail because they’re caught up in all this SEO, PPC stuff. They hang around forums & do what everybody else is doing which is the biggest no-no of online marketing. The truth is you need to find what everybody else is doing, and do the opposite! It probably does – but believe me it works. You see everybody’s going down the route of SEO, PPC etc which means it’s crowded, and in a crowded place it’s harder to get your voice heard. Admittedly all these options are excellent routes to promote but only if you can get to the front of the crowd. If not you’re just going to be wasting your efforts, which means whilst it’s important to use these methods, it’s also important not to focus all of your time on them. Marketing is just all about getting whatever it is you’re promoting out there & getting it noticed. It doesn’t matter how you go about it as long as it gets seen – but obviously not in a way that’s going to be damaging to your brand (ie spammy). So in order to succeed in online marketing you just need to think outside of the box – where can you promote your product/service where nobody else is? I’ll show you an example of what I mean with the “make money online” niche. If I was going to target that keyword then there’s going to be thousands of other people doing exactly the same so it’s going to be expensive. However if I was to think outside of the box & think more about the person who’s searching for “make money online”, what else are they into – where would they be hanging out? Now there’s a bit of humor involved in this one, but basically here in the UK we have a programme called Jeremy Kyle & it’s generally watched by those who are on the dole (jobless). So a jobless person is going to be a person interested in making money online right? Well I’ve already discovered one of their interests which is Jeremy Kyle which means I could explore that option as a marketing tactic. Are there any Jeremy Kyle forums I could join? Is there a Jeremy Kyle group or fan page on Facebook?… Get my drift? Thinking outside of the box is really important and it’ll drastically help you bring the cost of your marketing efforts down because you’ll be dodging the competition. Another thing that’s really important is to channel your efforts. It’s vital that you channel your efforts and manage your time effectively because you’ll fail if you get caught up focusing on one method. I’ve done it in the past, I focused on SEO & got a kick in the nuts when the Google Penguin update came. You need to manage your time & do a “bit of everything” to gradually build a “lot of everything”. That way you’ll be securing your online presence, and most importantly your income. If you follow this blog you’ll probably notice me go on about residual commissions a LOT. That’s because they are the key to success online – seriously you NEED residual commissions. Well residual commissions give you stability, but they also allow you to build a massive income. When it comes to residual commissions you’re basically building money on top of money on top of money. I started out in affiliate marketing & I was selling products for one time commissions, don’t get me wrong I was doing okay and even had a week of around $1,000 per day. However it ended. Dead. Overnight. That was it, my income went down the drain so I quickly had to find something else to move into and ever since then I’ll always look for residual commissions, I’d never go back to relying on one time sales… Never! The internet might be a great way to reach out to customers but it’s also a great way to reach out for help. Don’t ever be afraid to ask for help, everybody needs it. A great place that I usually hang out is the Warrior Forum – I’ve learned quite a lot from that forum & it’s packed with useful information that’s been posted over the years. It doesn’t matter how much you’ve earned there’s always more to be learned!